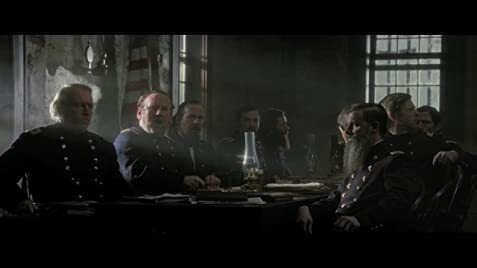 I was reluctant to see "The Conspirator" because it has racked up a critical consensus of a kind I dislike: the film is said to be cold-hearted, and to make political points with a heavy hand. Neither of these, happily, turns out to be true. The film is utterly impassioned, and its interest for today is nicely noted without being too underlined. Nearly every element one wants in a great film is there: visual beauty, strong acting, fine pacing, stirring and well-made music. But there is a flaw. The creators have taken their creation too seriously. There's not a shaft of levity or humor anywhere. A requirement for great art is thereby missed. It doesn't matter how somber the subject is supposed to be. King Lear has his fool; even Wagner's ultra-dark Ring cycle has its powerful currents of humor. It's got to be there; otherwise, the whole organism suffers. I think this is the weakness to which reviewers have responded, even if none of them has precisely named it. On that ground, the film falls short of greatness; but in every other respect it approaches or achieves greatness. "The Conspirator" is hugely recommendable and I will certainly see it again. During one day of shooting, Norman Reedus reportedly went around taking photos of the tops of people's heads with his iPhone. When Anna Surrat takes pieces of broken glass out of the window, the shot from Aiken's point of view the window shows an intact window.